Kourtney Kardashian and Scott Disick are reportedly planning to marry in an intimate ceremony in Mexico in the near future. Kourtney Kardashian and Scott Disick are reportedly planning to marry. The Keeping Up with the Kardashians star is said to have accepted a proposal from her long-term partner - with who she has children Mason (4) and 20-month-old Penelope. The pair is planning to tie the knot very soon at close friend Joe Francis' luxury five-star Casa Aramara property in Punta Mita, Mexico. Insiders say Kourtney "finally agreed" to tie the knot with Scott because things between them are "going really well" and she also wants to offer commitment to her partner following the tragic deaths of his mother Bonnie in October and father Jeffrey less than three months later in early January. A source told Life&Style magazine: "Kourtney realised that she's all he has. It's made her see things differently. 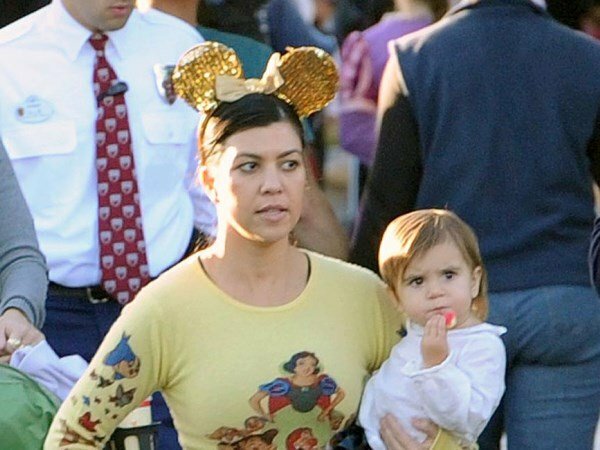 This is the perfect time for Scott and Kourtney to get married." Though the couple are planning an intimate wedding, they won't spare any expense and will splash out $100,000 (R1 070 000) on round trip private jet flights for their loved ones, as well as $30,000 a night on accommodation. Though it is unknown when the pair will marry, the magazine reports they already celebrated their bachelor and bachelorette parties last month. Kourtney and Scott are said to have hired wedding planner Sharon Sacks - who oversaw the nuptials between Khloe Kardashian and her now-estranged husband Lamar Odom - and the brunette beauty has asked family friends Lorraine Schwartz and Vera Wang to design their wedding rings and her dress respectively.